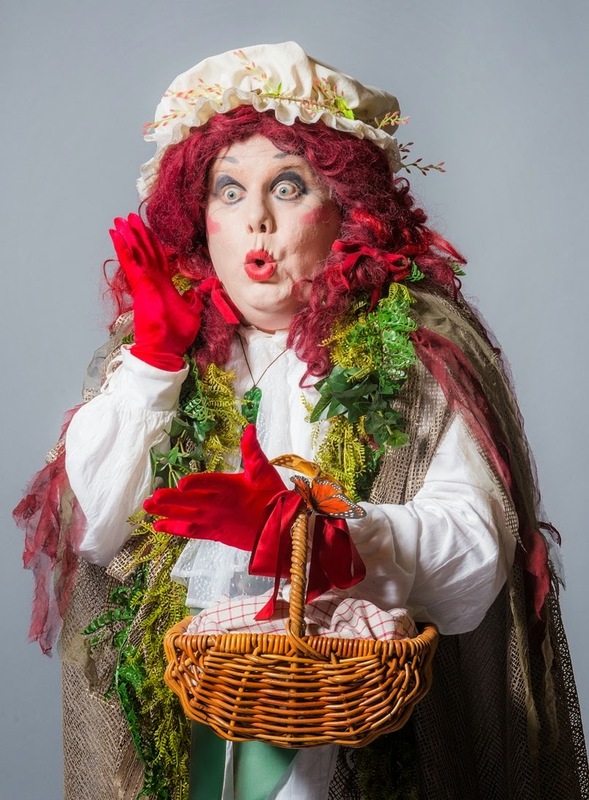 This week on drama on the waterfront, Gavin Rutherford, who will don the dress for the 5th time this year as Grandma Hood in Red Riding Hood, takes us down memory lane of his time as Dame. 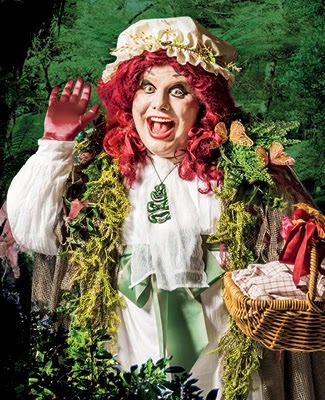 This year for the famous Circa Christmas Pantomime, we are remounting Roger Hall’s Red Riding Hood. This was the first pantomime that I appeared in at Circa back in 2008. I played the bad guy, Sir Roger Bounder. The amazing and hilarious Julian Wilson was Grandma Hood and I have large happy memories of crying with laughter at his inventiveness and skill in the rehearsal room and on stage. Julian then moved up to Auckland with his beautiful wife and have lived happily ever after (as is fitting). Robin Hood rehearsals started the next year with me, wig in hand and up to my knees in a frock (to be factually correct it reached a little higher). Robin Hood was full of the usual Roger Hall hilarity and I loved that the two quintessential English heroes (Robin Hood and Maid Marian) were played by the incredibly talented and proudly Maori, Jamie McKaskill and Kali Kopae. I was very nervous stepping into the Dame’s shoes on opening night, but with love and help from Susan Wilson and Paul Jenden (and even some great words of support from Jennifer Lal (it hasn’t happened since)) AND with a script close at hand at the side of the stage AND with Michael Nicholas Williams giving me every trick in the book I managed to get through it and experience the true meaning of sweat. In the end I had to fall in love with a large blue Viking dragon thing. I should have chosen Jeff Kingsford Brown (who played the evil Sherriff) but sometimes things don’t work out the way you want them too. Cinderella was actually my first pantomime, but I originally did it Dunedin when the fat ugly sister was named Obetia. Roger Hall has now changed it to the more politically neutral, Bertha. I remember on the opening night in Dunedin doing a big high kick during a number and one of my delicate little jazz slippers flying off into the audience. I thought, “Oh no. They’ll think it was a mistake” (which of course it was), so I decisively kicked my other slipper off. I was shoeless until interval. That was a trick for young players! Lesson learned. At Circa my sister was the hilarious Jon Pheloung. It was great to have someone to bounce off literally and figuratively. Our ‘other’ sister was Chelsea Bognuda (an even bigger girl crush for Mikayla) who was a charming and talented Cinderella. This pantomime was marked mostly by the great Johnny Wraight and his amazing sailing skateboard (it made the 6 o clock news one night) and by jumping off the diving platform outside Circa between shows one hot sunny day. I had had enough after one leap! It is a bigger fall than it looks. Our esteemed stage manager Eric Gardiner (all of 70 years old) jumped off twice! Mother Goose was the first pantomime written by Michele Amas and one of my favourites. I loved how brave she was to have an openly gay and fully accepted family member character in what was already a very camp show. Simon Leary was fantastic in the role and trying to keep up with the improvisational comic talents of him and the wonderful Kathleen Burns, was a challenge and a joy every night. I was thrilled that we received no complaint letters about Simon’s character. Can’t beat Wellington on a good day! Mother Goose was our first pantomime at Circa that Paul Jenden wasn’t a very committed member of the rehearsals room, production team and creative drive. Rest in peace Paul. Red Riding Hood. Full circle? No wonder I am dizzy. As I write this we are just about the head into production week. The show is in excellent. Simon Leary is making me laugh so much it hurts. Awhimai Fraser is the sweetest Red Riding Hood with an incredible voice. Carrie Green is all curls and pouting. Patrick Davies is brilliant with physical comedy and his timing is immaculate. Jane Waddell and Jonathon Morgan are the perfect clown duo. And Tom Truss? Let’s just say Bring on the Full Moon!